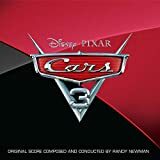 Accueil Produits Musiques Freeway of love – Paroles de la chanson dans “Cars 3”. 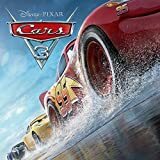 Freeway of love – Paroles de la chanson dans “Cars 3”. I knew you’d be a vision in white. How’d you get your pants so tight ? Don’t know what you’re doin’. But you must be livin’ right. We got some places to see. Well, I brought all the maps with me. So jump in, ain’t no sin. Take a ride in my machine. City traffic movin’ way too slow. Drop that pedal now and go, go, go, go, go, go, go. We’re goin’ ridin’ on the freeway of love. Never you mind the exit signs. Oh we got lots of time. We can’t quit until we get to the other side. To the other side, to the other side. With the radio playin’ our song. How far a car can get before you think about slowin’ down ? Ridin’ on the freeway, ridin’ on the freeway. Ridin’ on the freeway of love. Come on, y’all, join me here. Yes, I’m ridin’ down the road. I got the top down. Wind is in my hair, we’re drivin’ here, we’re drivin’ there. You know I got the, I got the wind in my hair. ‘Cause I’m drivin’ ‘er down. Drivin’ on the freeway of love. Y’all, you see a station somewhere ? We got to pull over.